Surinamese writer Astrid Roemer, 68, has been awarded this year’s PC Hooft prize – one of the most prestigious Dutch awards for literature. 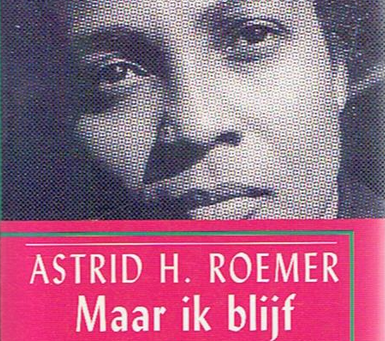 The jury said Roemer’s novels are a ‘literary portrayal of Suriname’s history’. Between the 1970s and 90s she published several novels and wrote poetry and plays. Her autobiography Zolang ik leef ben ik niet dood (as long as I am alive, I am not dead) was published in 2004. The award, established in 1947 and worth €60,000, is named after the Golden Age poet Pieter Corneliszoon Hooft who died in 1647.